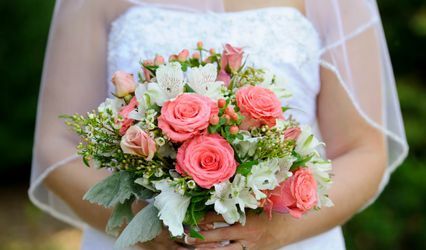 Rainbow Water Beads is a national distributor specializing in high quality vase filler products for the bridal industry. 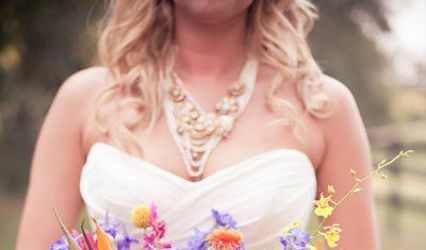 Water beads are one of today's most unique and popular bridal products. 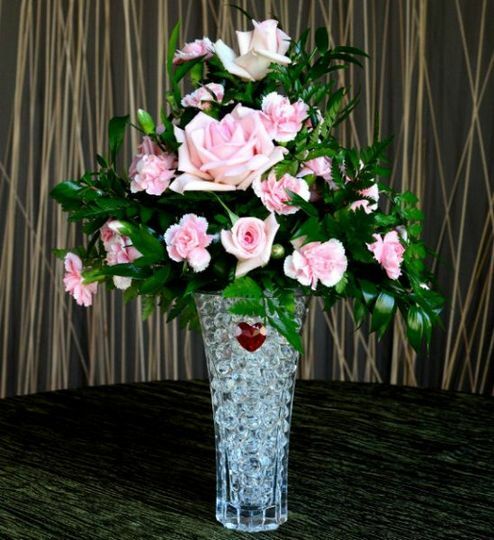 Elegant yet practical, they add dazzling color to centerpiece arrangements while keeping flowers and plants watered. They are a more cost effective alternative to heavy rocks or glass marbles and are available in a wide array of colors. 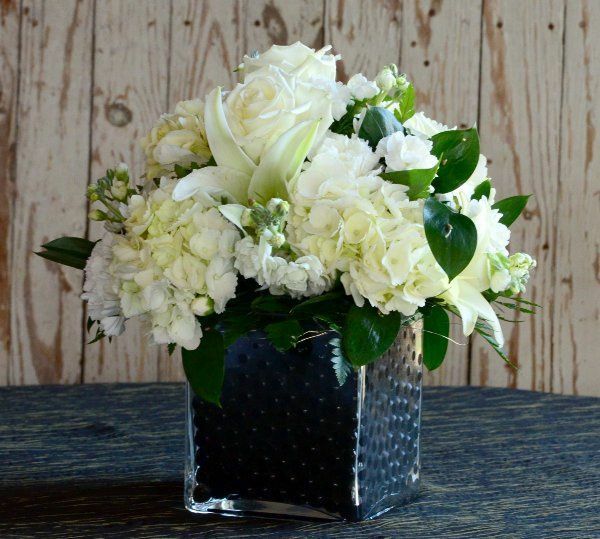 Create fascinating and glimmering combinations that will give your centerpieces the WOW factor! 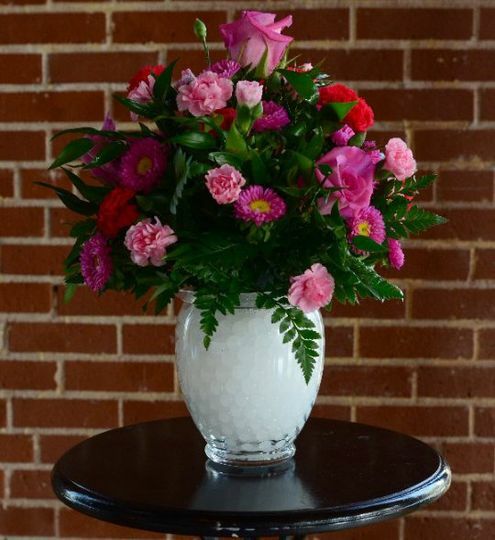 We offer the largest selection of colors and package sizes anywhere. Our beads are available in individual packets or a number of different bulk packages to suit your needs and include FREE shipping to US customers. 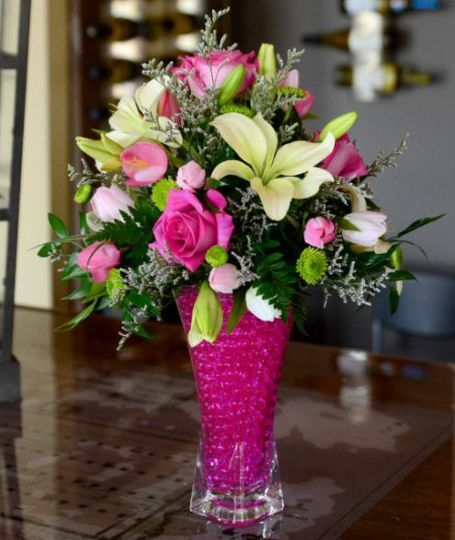 We also carry the popular line of FloraLyte submersible lighting products so you can add even more radiance to your arrangements. Rainbow Water Beads is the only online distributor of vase filler products that is an accredited member of the Better Business Bureau, so you can shop with confidence. With every sale we provide superior packaging, fast and reliable shipping, and personalized customer service. Although we are an internet based business, our customer service number is available 6 days a week to answer your questions and we’re always glad to pick up the phone. 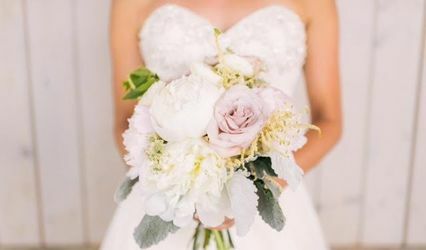 Whether you are a DIY bride, or if you are working with a floral designer or event planner, visit us to see why more and more brides are using our water beads for their reception table centerpieces! 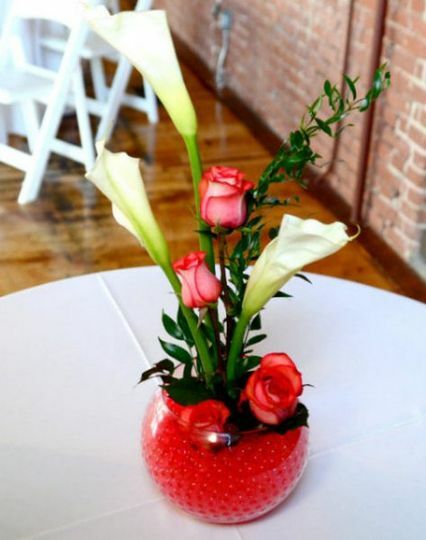 We used water beads in our wedding colors inside vases & floating candle bowls with LED lights under them. We were able to order sample packets to help us know which specific color to order. The whole process was extremely easy. I ordered water beads to use in my centerpieces.the we're really cheap and I love the colors! I had certain questions regarding water beads and the colors, and of all the times I contacted them (by e-mail) I always received a very friendly, professional, and informative e-mail in return. I would recommend Rainbow Water Beads to anyone!